I just wanted to post a quick update (another one) about the TOEFL “Free-For-All” Page of The TOEFL Excellence Training System. I’ve been making a lot of progress on the full versions of the training courses, and so I don’t want to stop or hinder this momentum… but – as a natural result of this progress, I have added some more very-helpful (and necessary) resources to the new “Helpful Resources” section of the TOEFL “Free-For-All”. These are the necessary skills that a person must have (besides knowledge and proper use of English) in-order to achieve the specific score that he or she desires on The TOEFL iBT Exam. …Time For Me To Get Back to “Excellence”!!! However, since I live in the farthest Eastern country in Eastern Europe… nothing is easy. PayPal doesn’t want to allow me to set up a payment system without a US bank account (or one in a country which I do not live in) – and with the crowd-funding site, there is a similar problem. And this reminded me of one of the best tips that I can give about The Reading Section of The TOEFL iBT Exam. The Reading Section of The TOEFL iBT Exam is the only section where one can actually skip ahead to the next question and then go back to a previous one. It is for this reason, that one should NEVER waste time on a question that they do not know the answer to, or that they are un-sure about. This can often-times be caused simply by the stress of taking an exam and working with a timer counting down continuously. In The TOEFL Reading Section, there are 3 passages (on the normal version of the exam) and approx. 12-15 questions for each passage. There are also, only 20/passage to complete this portion of the exam. This means, that you have about 3-5 minutes to skim over the exam and an approx. average of only 1 minute for each question. Some of them will take much less than that, but some will take much longer. Another thing to take into consideration (which should also relieve some stress) is that you do not get a “0” (zero) on a question with a wrong answer. You can only get a “0” (zero) on a question that you do not answer. So if you spend too long on a question or task that is confusing – you may end up getting a zero on a number of other question that you knew the answer to, easily, but did not have time to answer. When encountering a question that you do not know the answer to, just make a guess, or mark any answer randomly. Then, make a note of which question that was on the paper that they provide for you to take notes. After that, go on to the rest of the questions and finish them. Finally, with the time that is left over, go back to the questions you were having difficulty with, and if you have time, you can review them. But, if you do not have enough time to go back to those, at least you guessed or chose something… Your guess may have been right. If so, perfect! Your guess may have been wrong. No problem! You will still get some credit for the question, and it is better than getting “zero”. Just as all of the questions and tasks on The TOEFL Exam, this mimics real situations in Life. Therefore… make a guess, move on, go back to it later, fix it if it needs to be fixed, if not – don’t worry. Wow! What a week it’s been so far, and it’s only Wednesday, but I’m including the weekend as well. So the fact that I have been super busy over the last few days, with learning the new software for the site that will actually host the lessons for The TOEFL Excellence Training Programs, in addition to answering emails about both, the exam itself, and about the training courses for the exam – it makes me think about… Planning. I guess I must have been unconsciously planning ahead many many months ago – because I have already written a post about this as well. 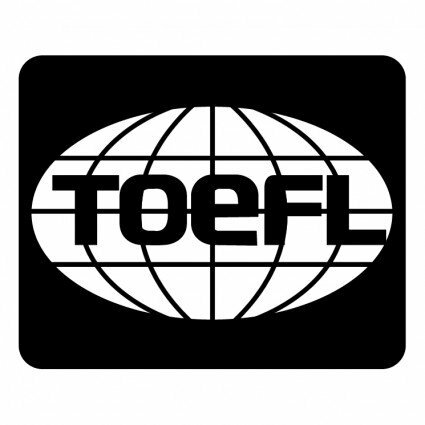 So click the link below to find out what you need to know if you are planning to take The TOEFL iBT anytime in the future.